Strauss, Richard (1864-1949), German composer and conductor, a leading composer for the modern orchestra and a master of composing for the human voice. Born June 11, 1864, in Munich and educated at the University of Munich, Strauss was the son of an eminent horn player, Franz Strauss, and was trained in music from the age of four. From the age of 21 he was a successful conductor, first at Meiningen and later at Munich. He continued to conduct important orchestras and in major opera houses in Germany and Austria for most of his life. From 1919 to 1924 he was joint conductor and director, with the Austrian conductor Franz Schalk, of the Vienna State Opera. After the advent of Nazism in Germany, he was from 1933 to 1935 honorary head of the music bureau of the Third Reich. Strauss remained in Germany during World War II and died at Garmisch-Partenkirchen on September 8, 1949. The works of Strauss fall into three distinct periods. The compositions of the first period (1880-1887), seldom played today, are strongly influenced by the Classical and Romantic masters and are remarkably accomplished. These include a Sonata for Cello and Piano (1883), Burleske for piano and orchestra (1885), and the symphonic fantasy Aus Italien (From Italy, 1887). 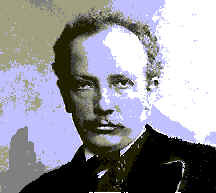 In his second period (1887-1904), during which he achieved his mastery of orchestration, Strauss made his notable contribution to the repertoire of programme music. He developed the symphonic poem to a high degree and utilised the leitmotiv system (the use of recurrent themes with specified extramusical associations) that had been developed most notably by the German composer Richard Wagner. He also made innovations in harmony and instrumentation, greatly expanding the expressive possibilities of the modern symphony orchestra. These works included Don Juan (1888), Macbeth (1890), Tod und Verkl?rung (Death and Transfiguration, 1890), Till Eulenspiegels lustige Streiche (Till Eulenspiegel's Merry Pranks, 1895), Also sprach Zarathustra (Thus Spake Zarathustra, 1896), Don Quixote (1897), and Ein Heldenleben (A Hero's Life, 1898). To the third period (1904-1949) belong the operas, considered among the most important of the 20th century. After the production of his first successful opera, Salome (1905), Strauss formed a partnership with the Austrian poet and librettist Hugo von Hofmannsthal, with whom he produced his finest operas, including Elektra (1909); Der Rosenkavalier (1911); Ariadne auf Naxos (1912; revised 1916); Die Frau ohne Schatten (The Woman without a Shadow, 1919); Die aegyptische Helena (The Egyptian Helen, 1928); and Arabella (1933). After Hofmannsthal's death, Strauss produced operas with other librettists, though none so successfully. These include Die schweigsame Frau (The Silent Woman, 1935), Daphne (1938), and Capriccio (1942). Strauss also composed more than 100 songs; some of them, such as Zueignung (Dedication, 1882-1883) and Morgen (Morning, 1893-1894), are of the finest quality. His other works include the ballet Josephslegende (Legend of Joseph, 1914), the symphonic works Symphonia domestica (1904) and Eine Alpensinfonie (Alpine Symphony, 1915), and Vier letzte Lieder (Four Last Songs, 1948).